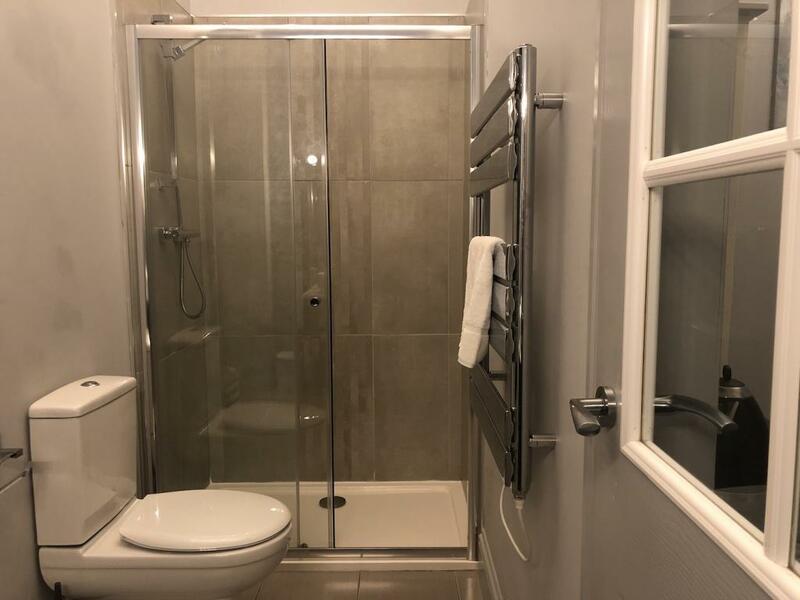 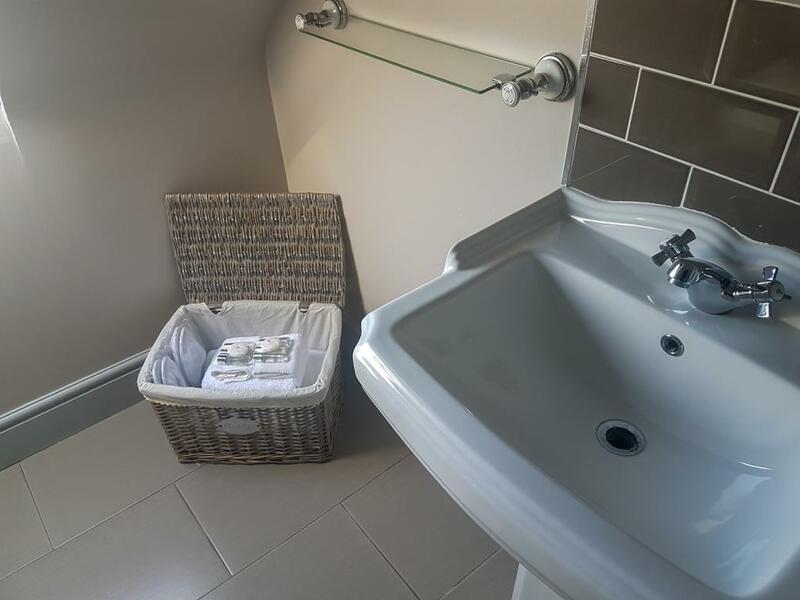 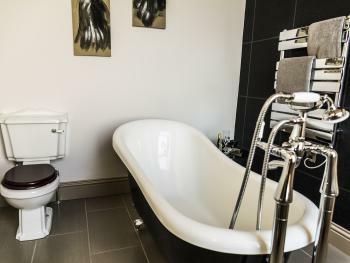 Period style room with an elegant en-suite bathroom, everything a guest could ask for (please note this room does not have a sea view). 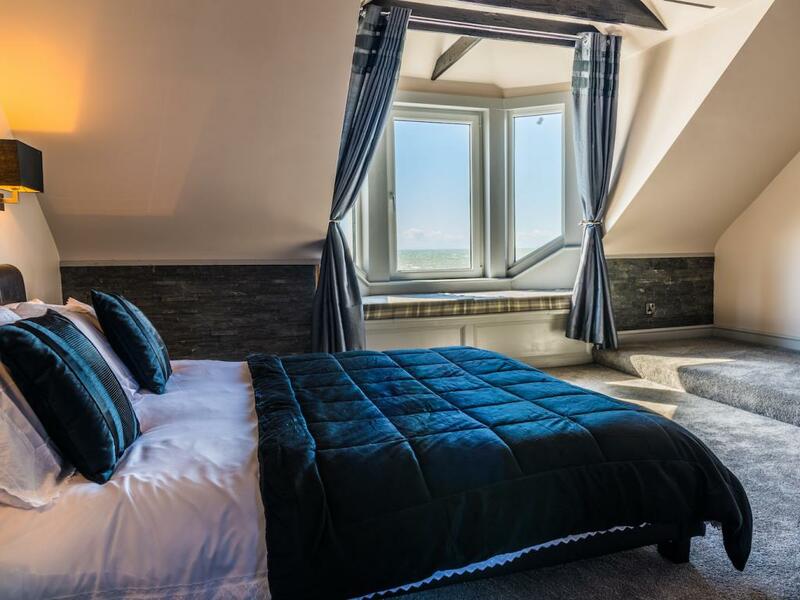 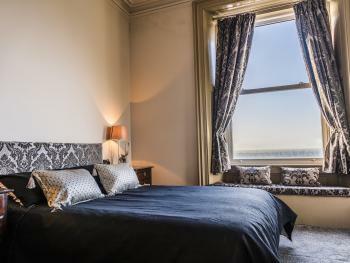 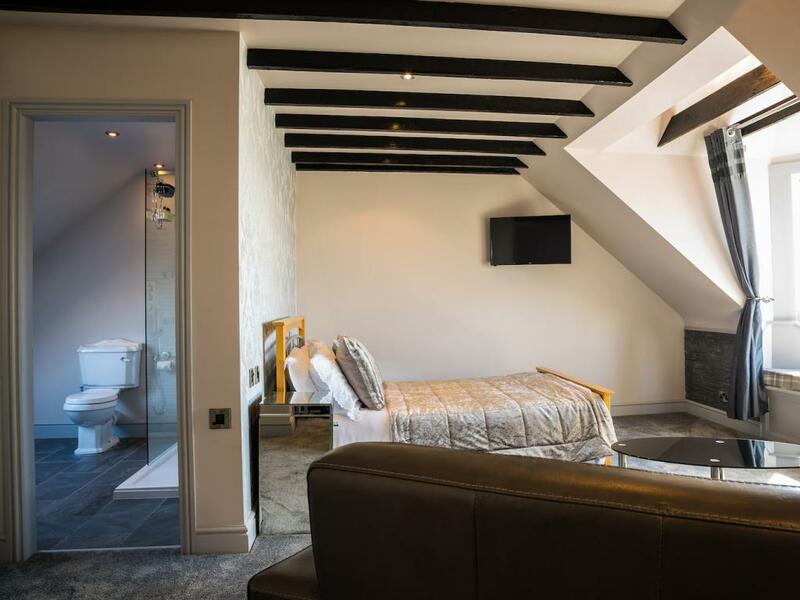 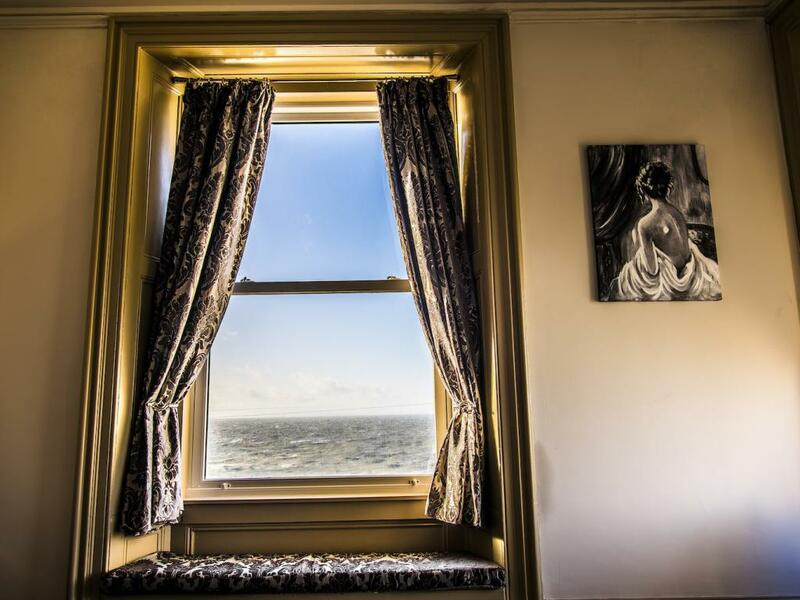 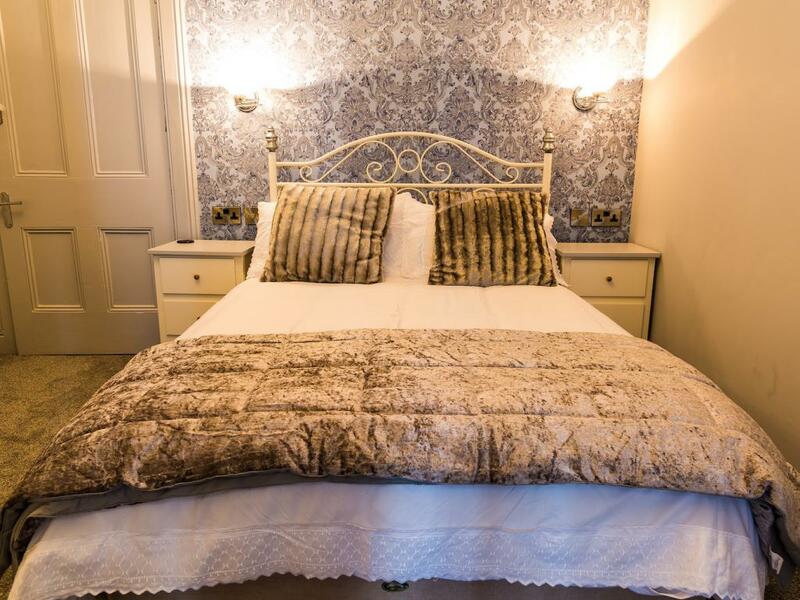 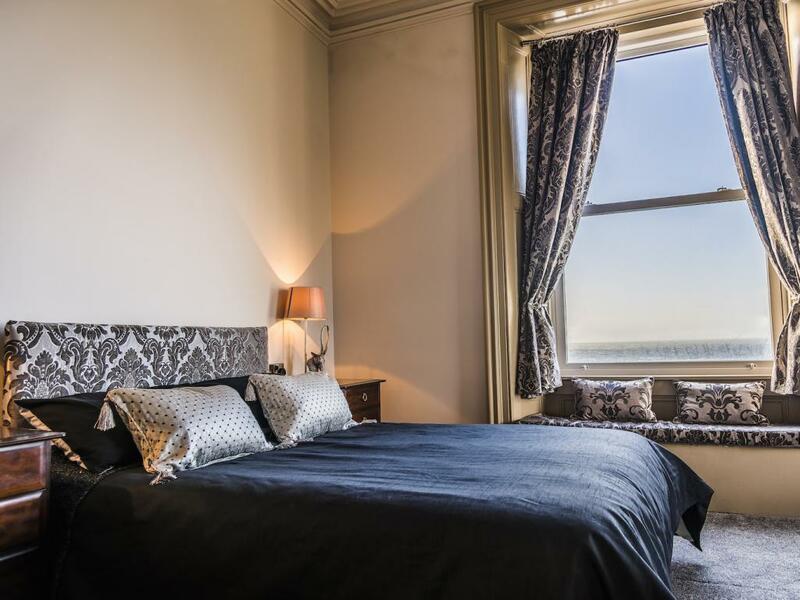 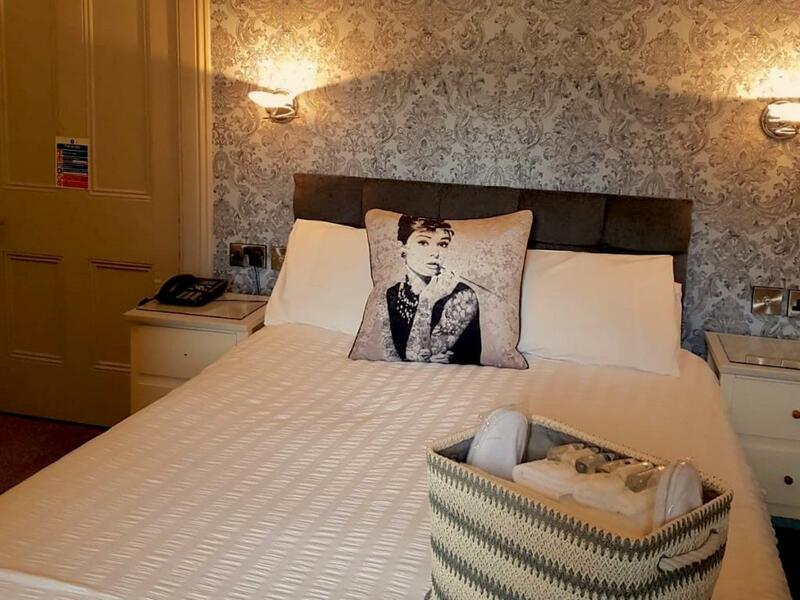 Our Buchanan room is a superbly appointed suite with spectacular sea views, separate bathroom boasting a Victorian saddle back bath overlooking the Irish sea. 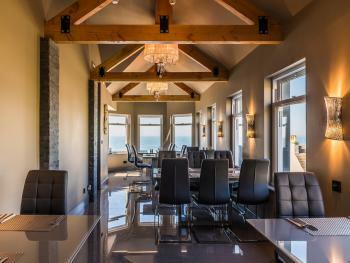 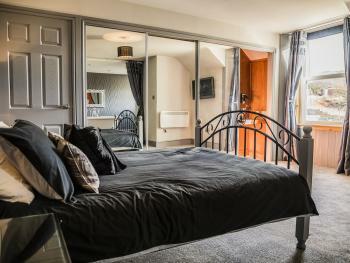 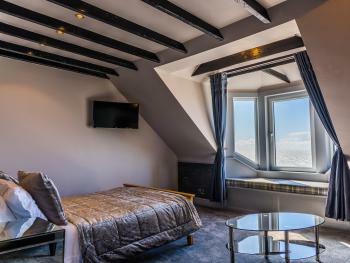 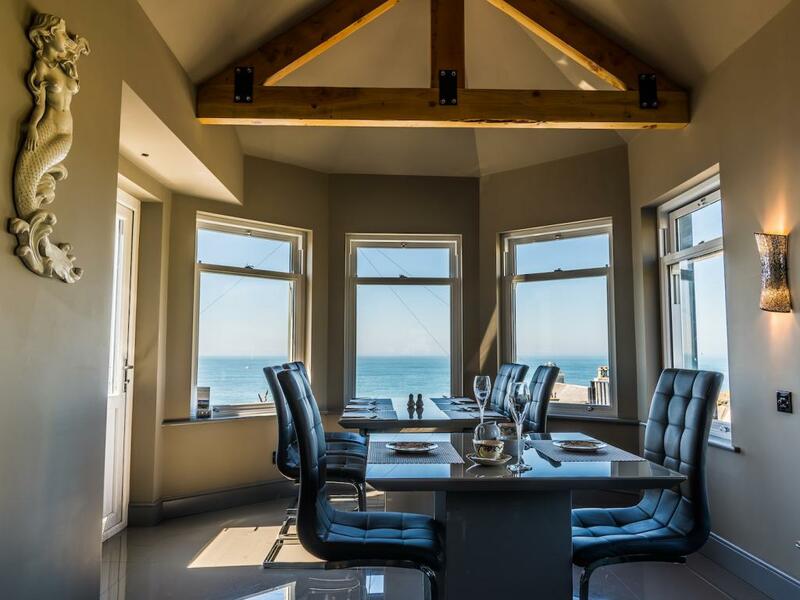 The Cameron room is an opulent suite commanding panoramic views across the sea and down to the village and harbour. 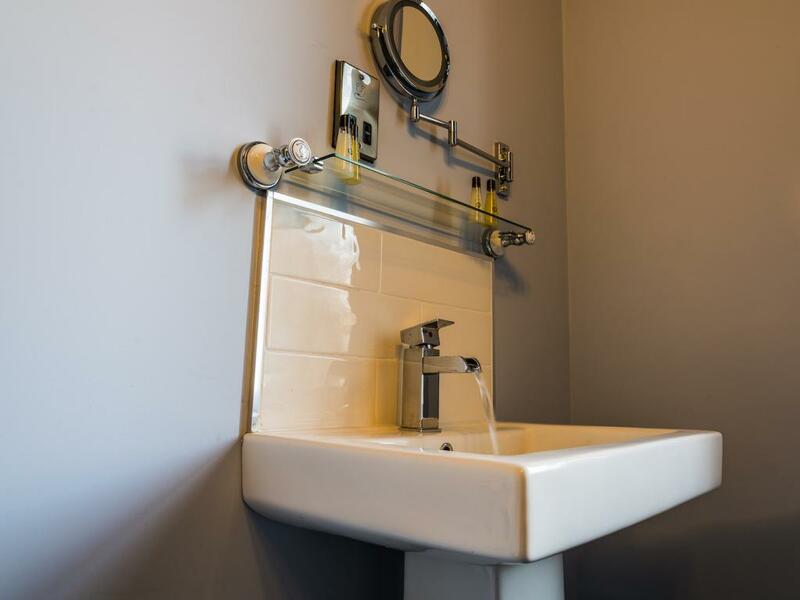 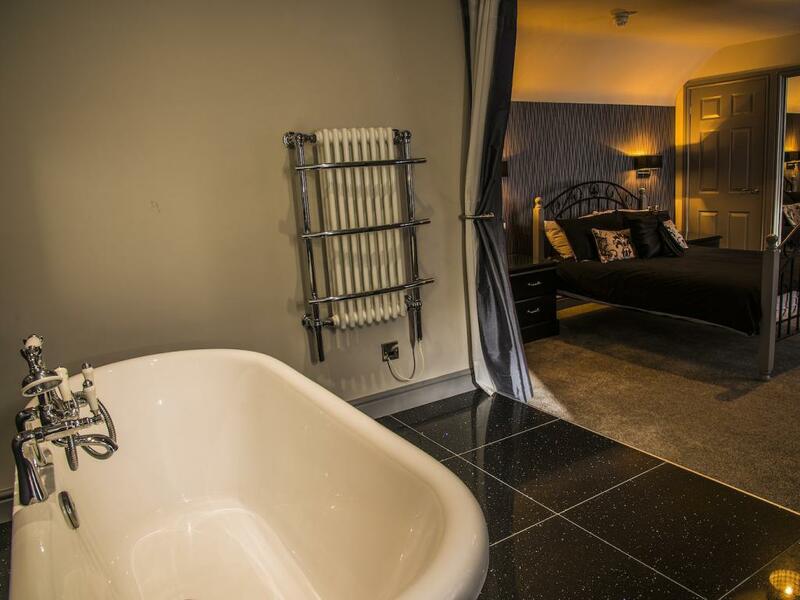 Featuring a chaise lounge, dressing area and walk in shower. 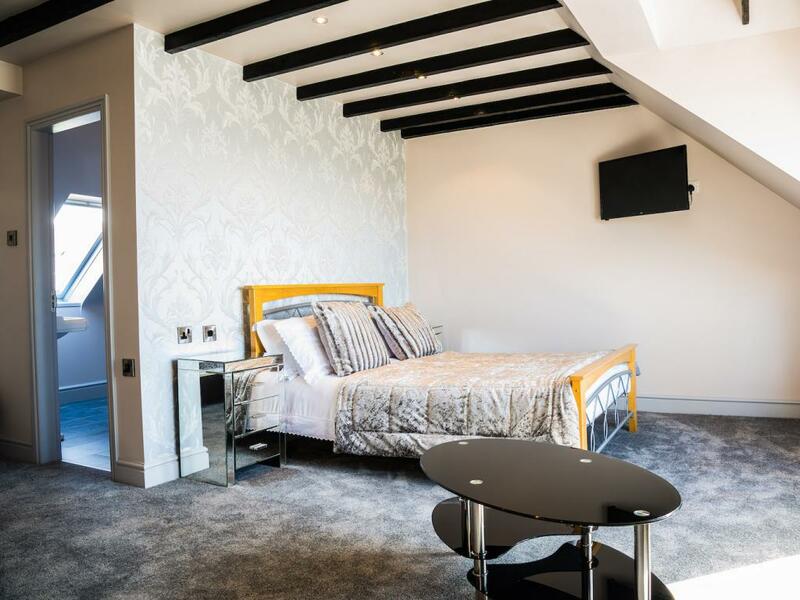 Our elegantly and capacious MacDonald suite, with exposed beamed ceiling. 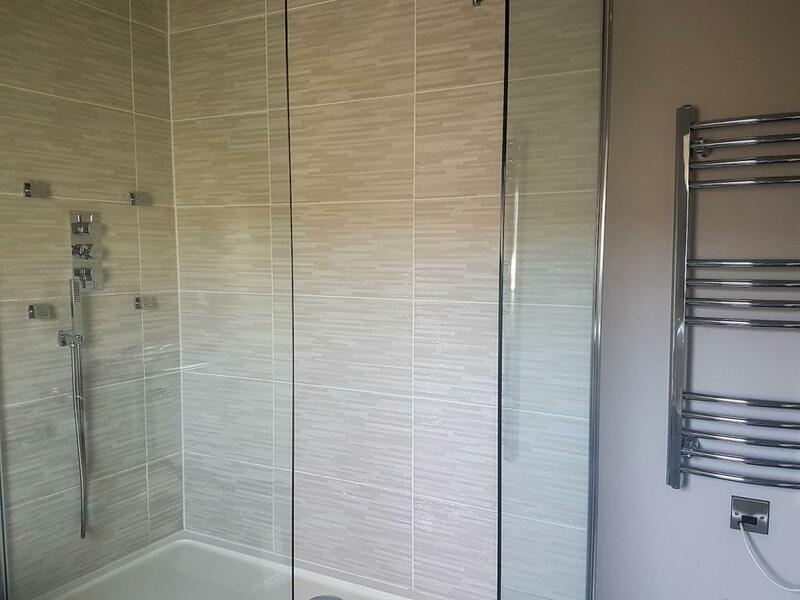 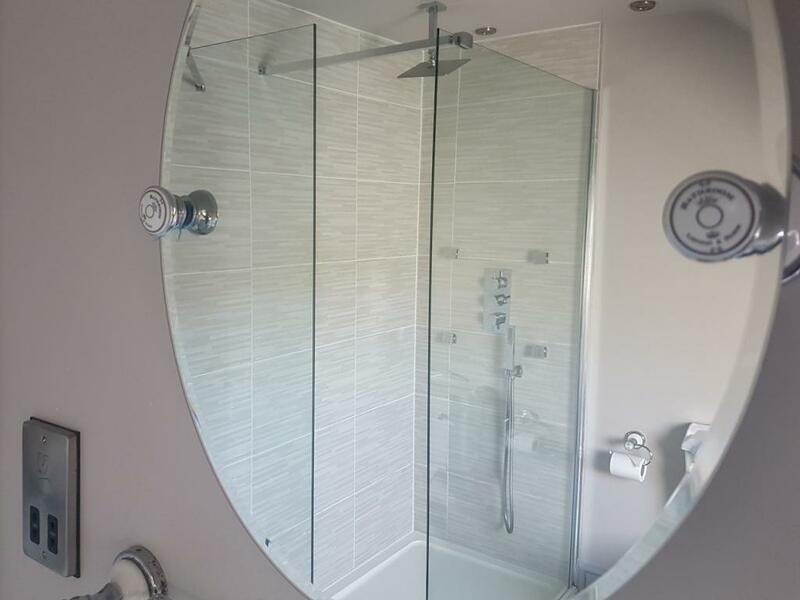 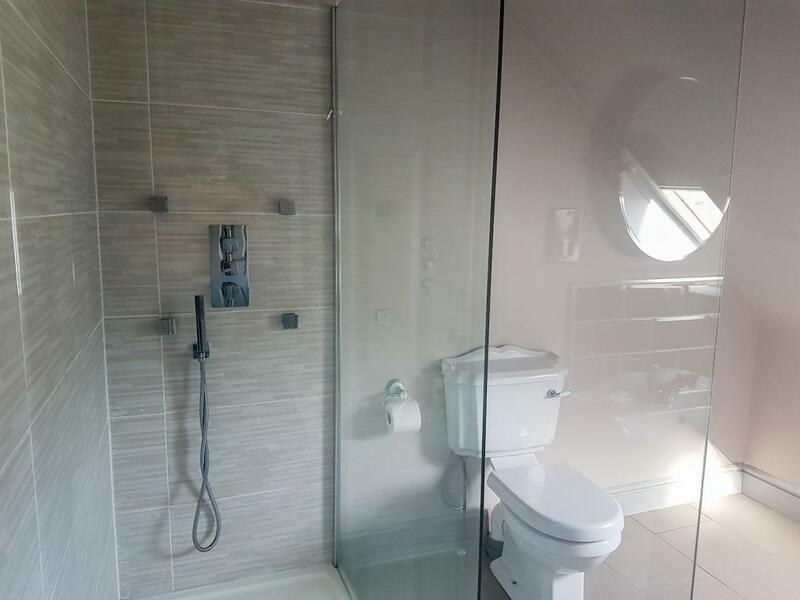 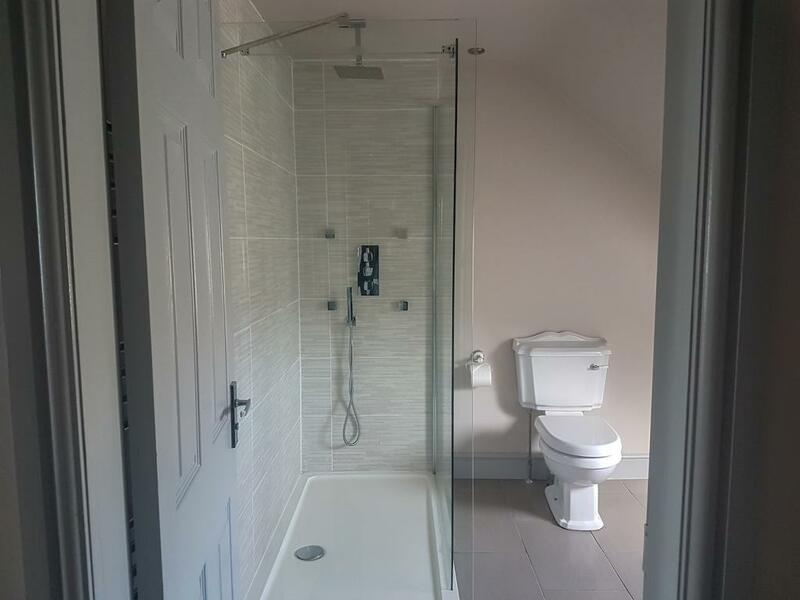 This room has a real sense of luxury with a walk in body massage shower. 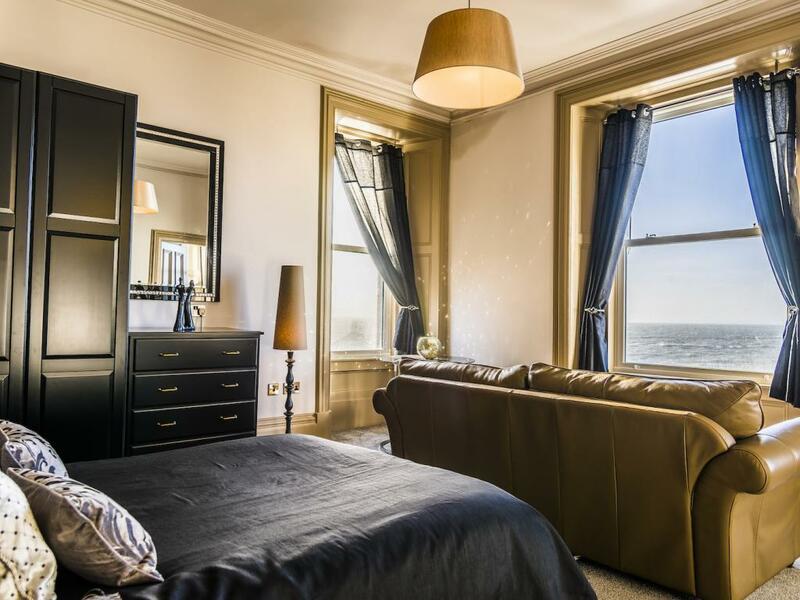 The Wallace room, arguably a suite, has unrivaled sea views, beautiful mirrored glass furniture and a walk in shower with body jets. 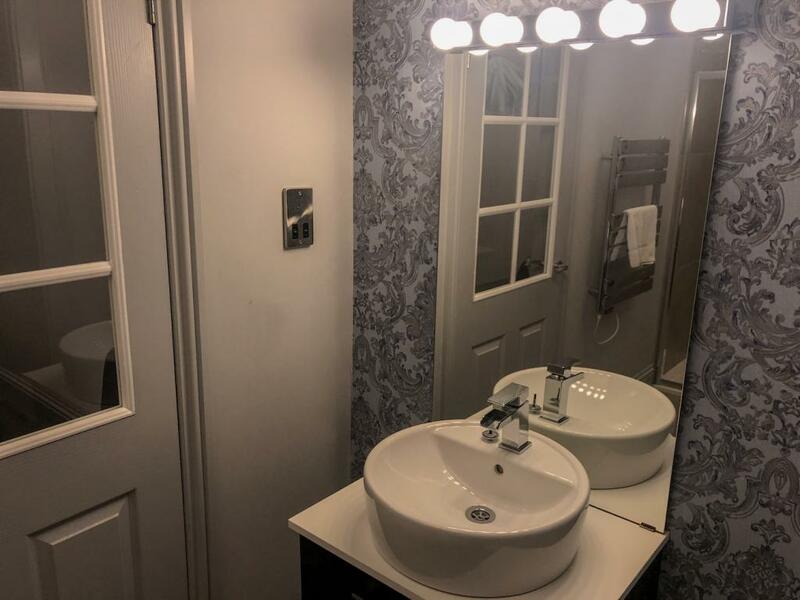 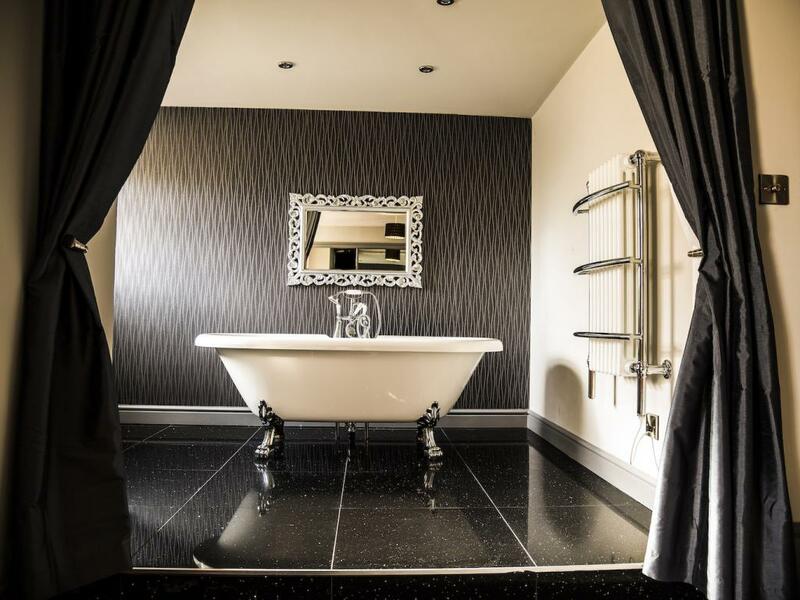 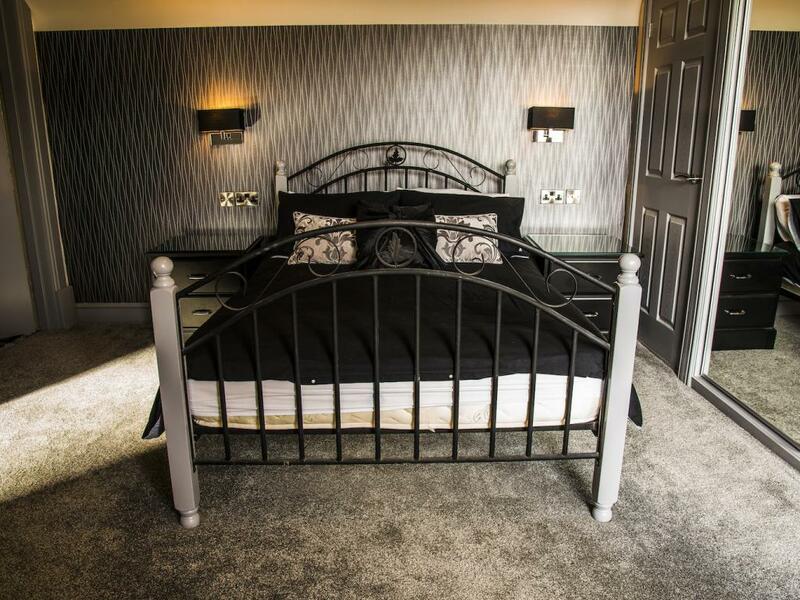 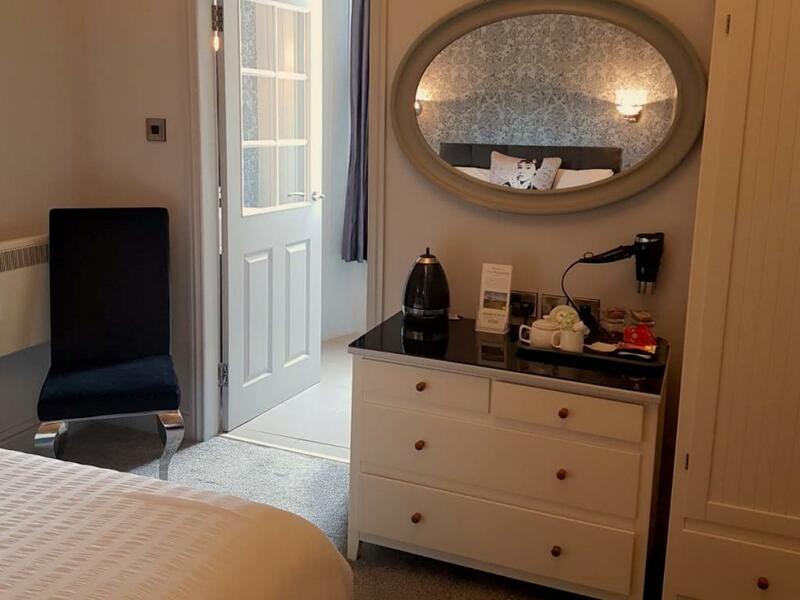 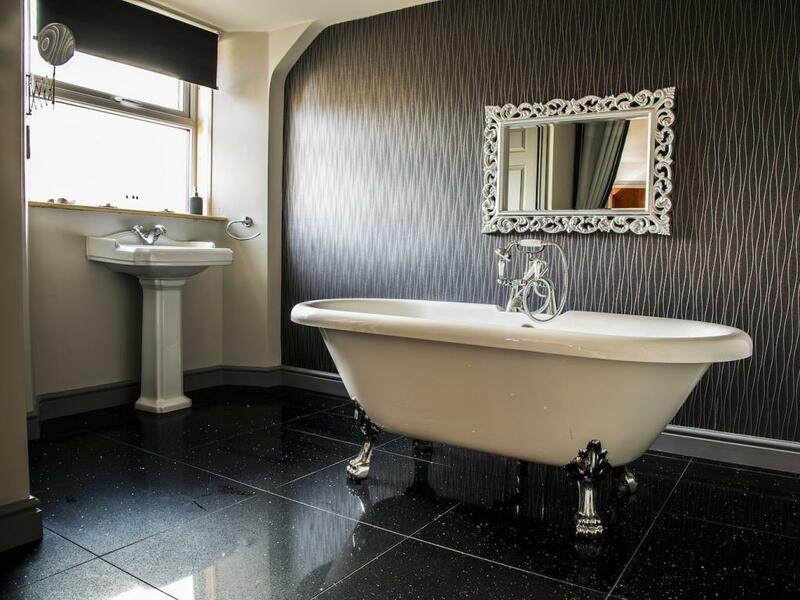 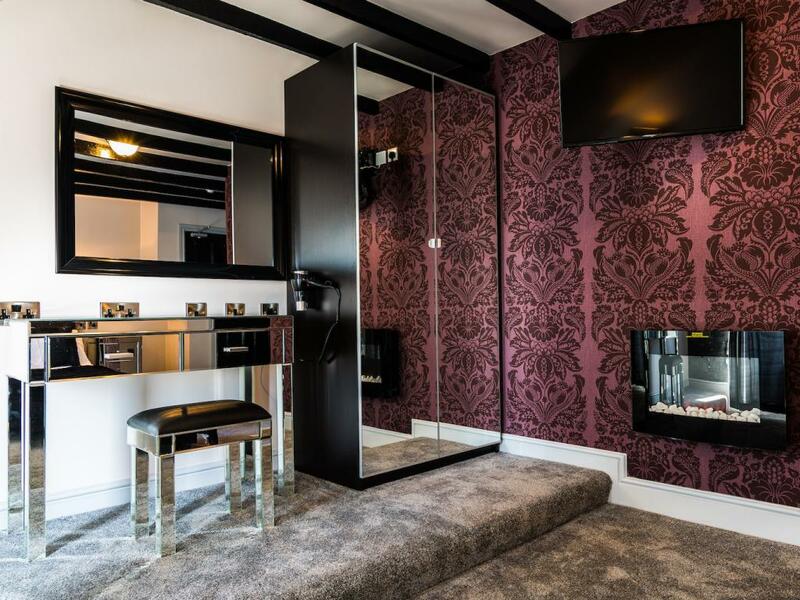 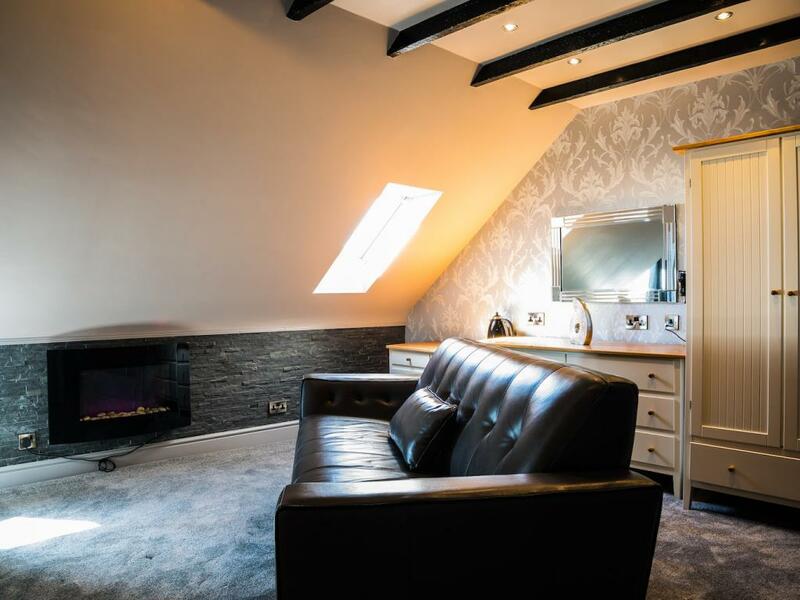 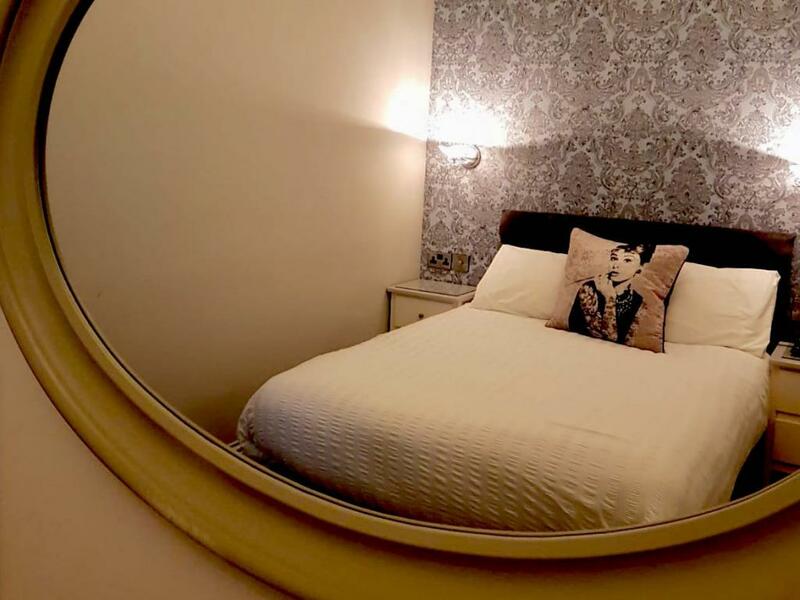 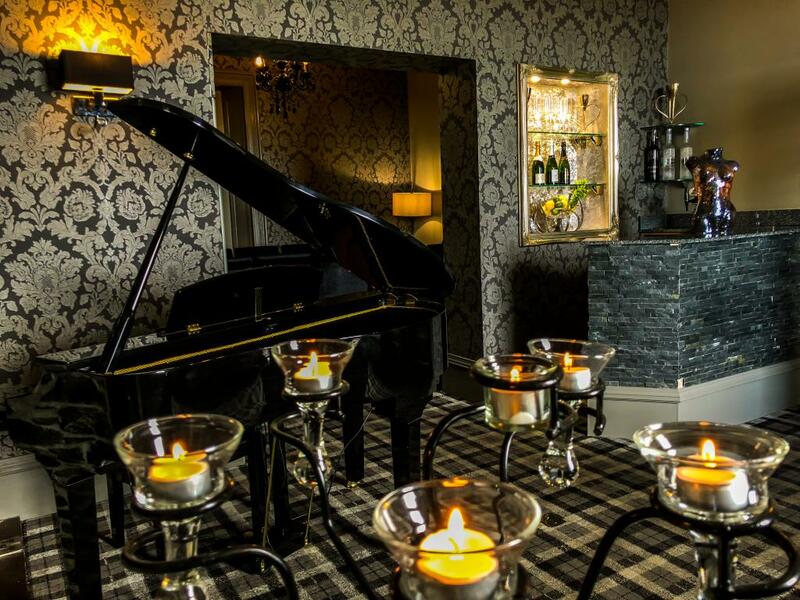 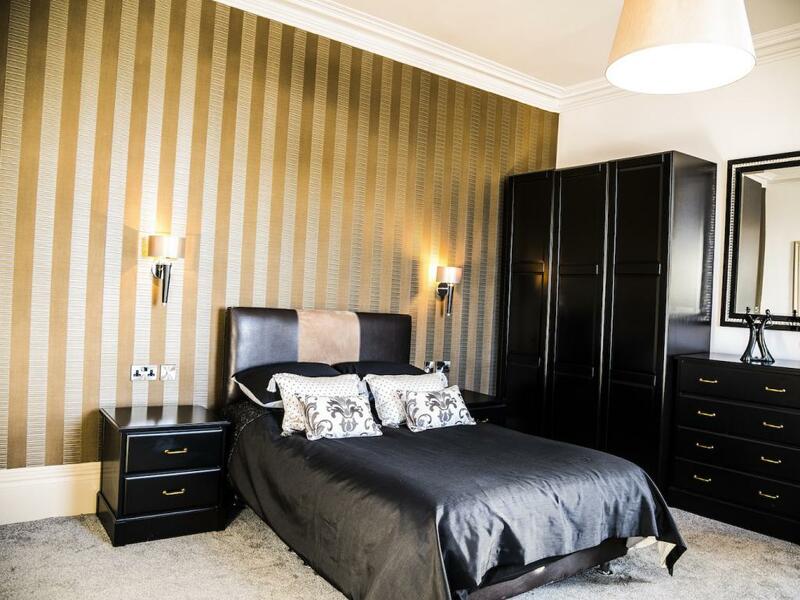 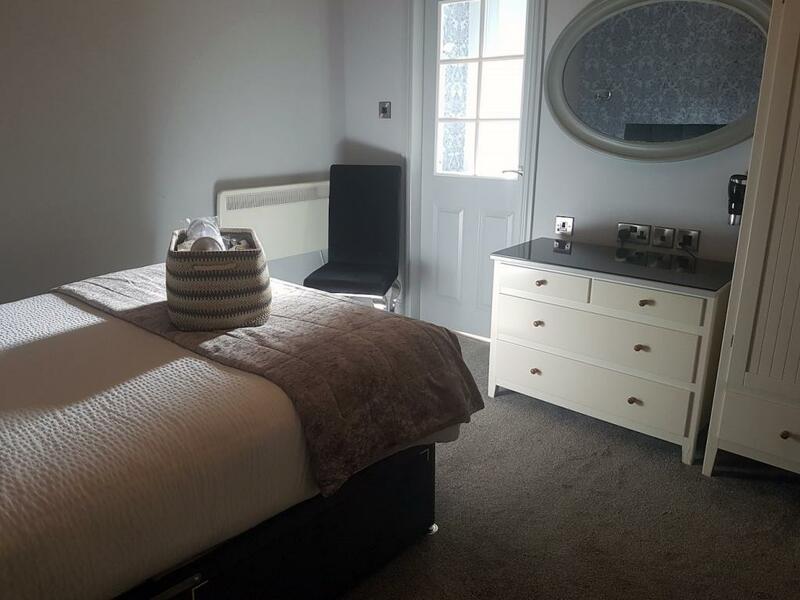 Sumptuous, romantic room featuring a free standing bath on sparkling black granite and featuring full length mirrored wardrobes with a concealed dressing table. 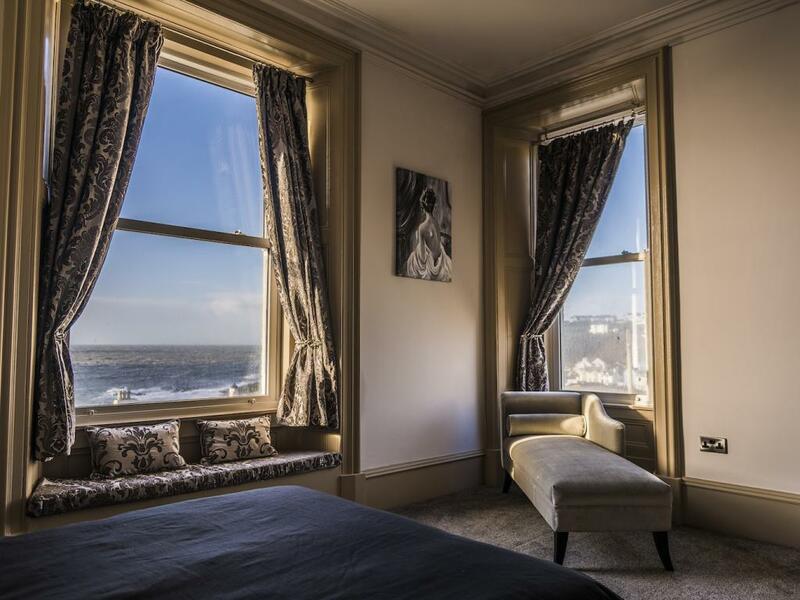 The Mount Stewart Hotel is open all year round and welcomes both residents and non-residents alike. 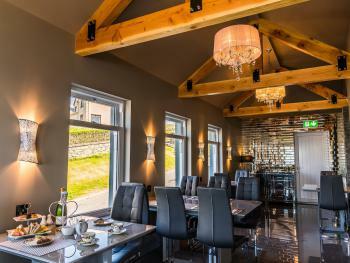 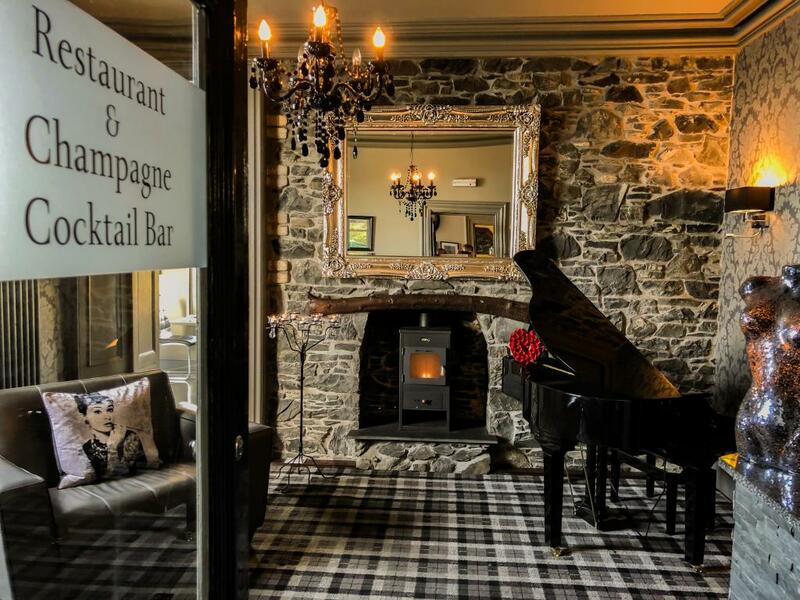 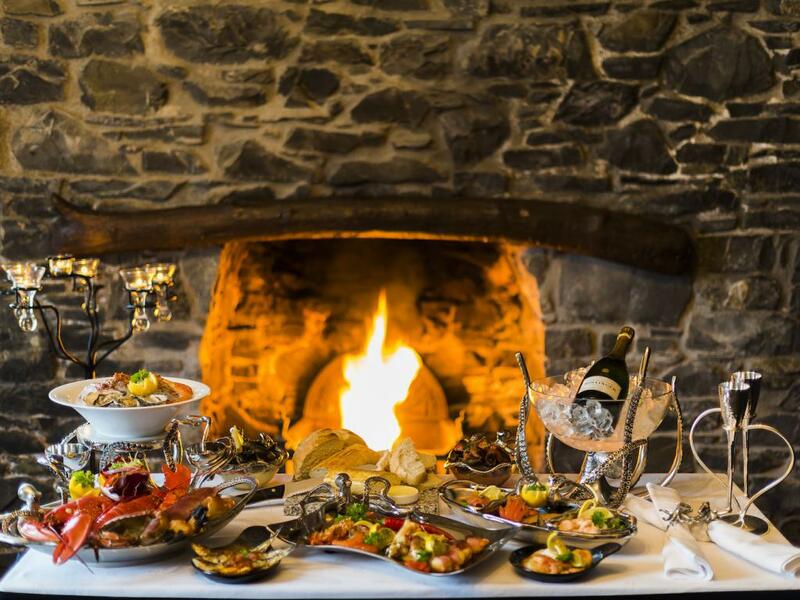 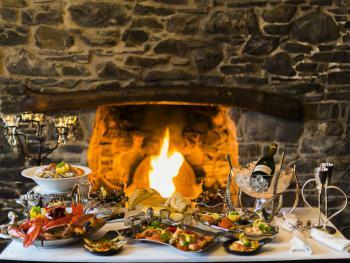 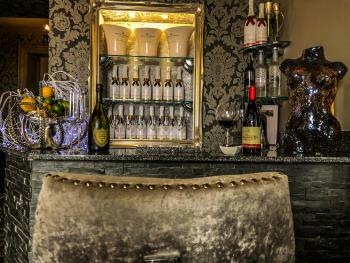 In addition to our new guest accommodation The Mount Stewart boasts The Portrie Bar and Belvedere Restaurant. 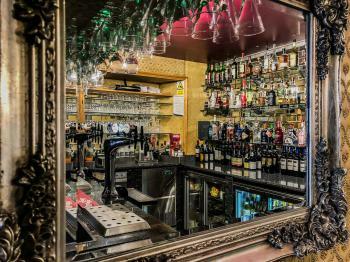 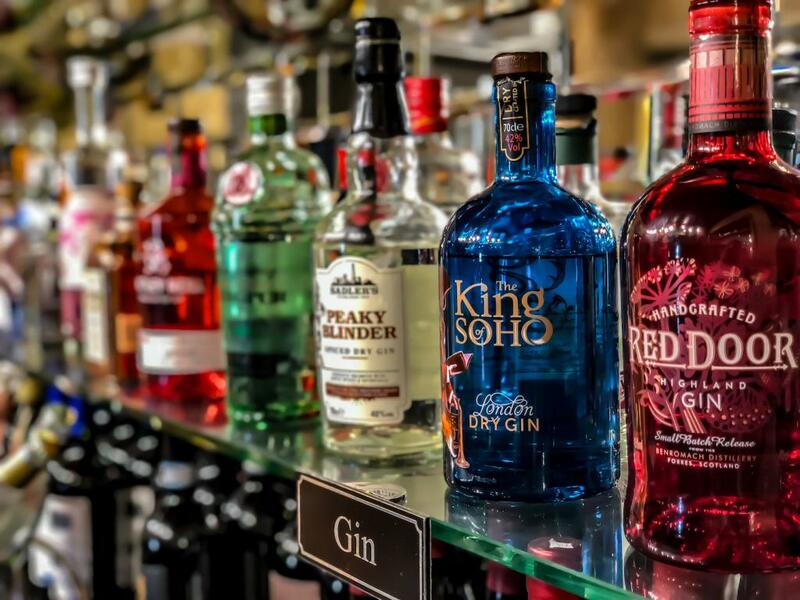 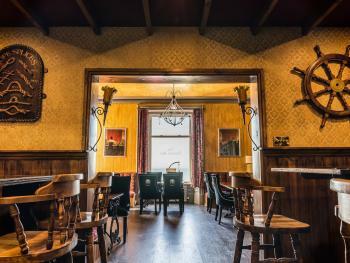 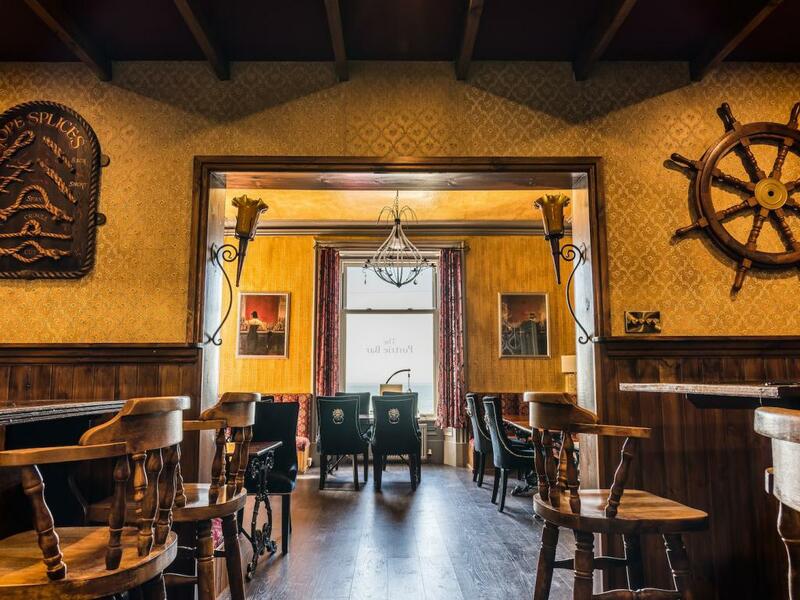 Historically known as Portpatrick, The Portrie Bar, offers a large selection of handpicked ales, offering everything from exciting new beers to traditional favourites. Our wine list is a carefully selected and balanced menu of quality wines from individual growers from around the world and includes Prosecco, Cava and Champagnes. Our chefs source quality local produce to reflect seasonal flavours and have created a new menu to celebrate the launch of our new guest rooms and suites. Whether dining in the Belvedere, Portrie Bar or the Terrace our team aim to cater for every taste. Wheelchair access through the rear side of the restaurant.